The Ranger R20SS can detect a pedestrian at more than 10 km away and a vehicle at over 20 km away. It can be used for both land and maritime operations; it is fairly compact and robust for use on patrol vehicles, but light enough to be used on the ground by two people for tactical missions. It owes its effectiveness to an electronic antenna with multiple components and digital beam synthesis, which increases its detection speed 20 to 50 times without sacrificing sensitivity. The Ranger R20SS also includes advanced detection and tracking algorithms so that it can automatically adapt to different environments and eliminate false alarms. 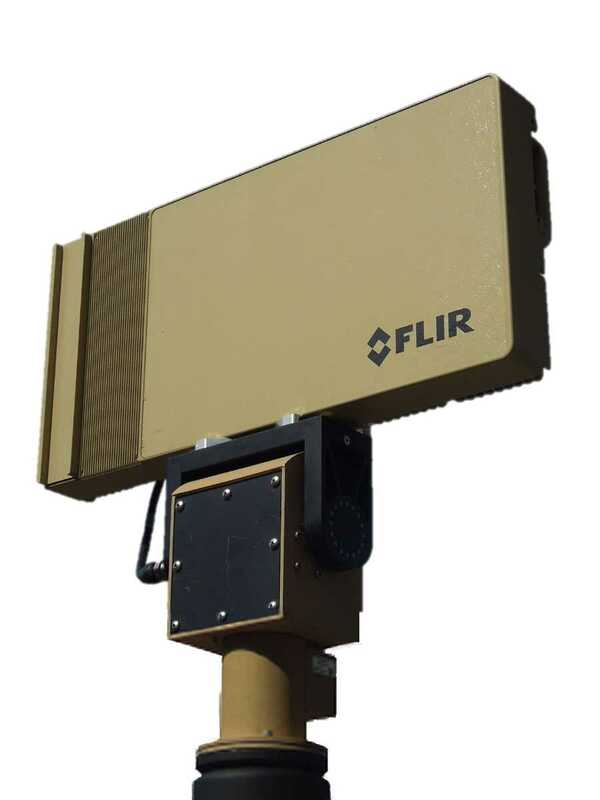 The Ranger R20SS provides fast 90-degree coverage using enhanced “track while scan” capabilities that cover an entire 90-degree area twice per second. 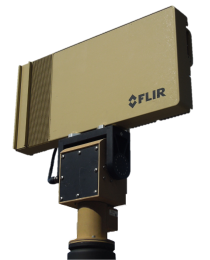 When deployed with an optional pan/tilt device as shown in Figure 1, the Ranger R20SS can provide 360-degree coverage. The R20SS offers an unprecedented performance in detecting intrusions on sensitive sites such as airports, energy production plants and borders. In addition, since it emits power continuously rather than in pulses, the R20SS is safe for humans.